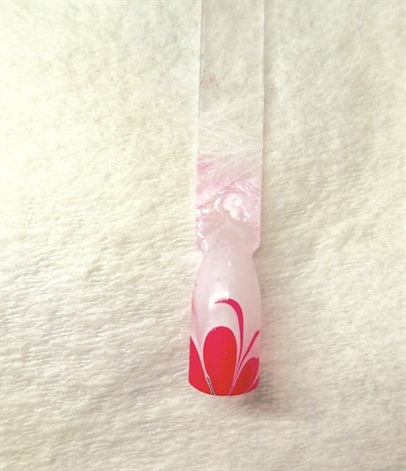 Learn how to create this trendy Valentine's Day nail design created by Sarah Petersen, a nail tech at Salon Legacy in Rolla, Mo. Learn how to create this trendy Valentine’s Day nail design created by Sarah Petersen, a nail tech at Salon Legacy in Rolla, Mo. She manipulates polish marbling and a cheetah print design to resemble hearts. The subtlety of Petersen’s work makes this manicure an alternative holiday offering as well as a one that could be worn year-round or for countless other special occasions. 2. 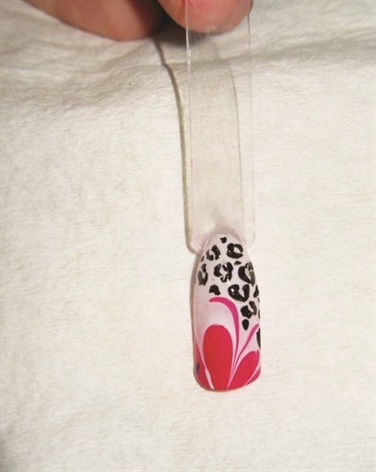 Add cheetah print diagonally toward the cuticle. Some spots should resemble small hearts. 3. 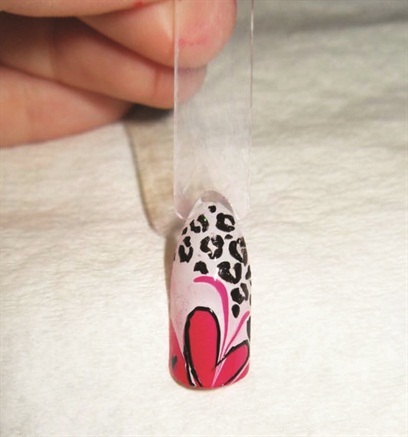 Outline the marbleized pattern with black polish and then apply top coat.